With consumer and business confidence low and uncertainty dominating sentiment, looking ahead to 2018 and considering what the year may bring for retailers and shopping centres is no easy task. Nonetheless, Shopping SA asked some of the industry’s thought leaders, opinion shapers and most passionate players to shed a little light on what we can expect in 2018. Their insights are heart-warming, honest, frustrating and inspiring in equal portions. They certainly give us much to consider and quite a few things to look forward to. The biggest challenge: Consumption is a key driver of the South African economy, as such; the impact of a lack of consumer growth is reflected in 2017’s GDP growth forecast being revised down from 1.3% to 0.7% during the October Mid-Term Budget speech. High unemployment, poor credit growth, low business and consumer confidence, low economic growth – these challenges are expected to continue into 2018. The biggest opportunity: Interest rates are not expected to rise in 2018, easing pressure on household budgets. Each 25bps decrease results in R4.5bn increase in disposable income. Despite this, the consumer is likely to remain under pressure due to poor wage growth; as such we expect the convenience retail offering to continue to grow. Area of most innovation: The growth of mobile commerce is likely to be an influential driver of innovation in delivering Direct-to-Consumer (DTC) channels. DTC enables brands to sell their products directly to the consumer. What customers want: Pressure on consumer spending could see consumers becoming increasingly discretionary, driving demand for alternative brands and increased value for money. What to carry forward from 2017: Drought recovery, lower interest rates and a positive attitude. …and what to leave behind: Political uncertainty. Emerging and growing trends: • Omnichannel shopping: focusing on the use of online retail as research tools for pricing and product selection. • Hybrid retail: less focus on pure retail offerings, i.e. increased acquisition of brickand-mortar offerings by online retailers and online offerings by traditional brick-andmortar retailers. • Cybersecurity concerns are increasing as a result of recent information leaks and increasing use of online and via mobile apps for transactions. According to PwC’s 2017 Total Retail report, 80% of survey respondents in South Africa were concerned about the danger of cybersecurity compared to a global average of 65%. The biggest challenge: The biggest challenge in 2018 will be ofa macro-economic nature. The retail and shopping centre industry cannot grow unless the South African economy recovers, disposable income increases and unemployment reduces. Area of most innovation: In all things digital - customer analysis, payment methods, artificial intelligence, robots and so on. What customers want: Similar to international trends, shoppers will demand value for money and pursue retailers that offer competitive pricing. In a market where fashion can be copied quickly and quality only needs to last one season, pricing will be king. What to carry forward from 2017: The operational efficiency that the shopping centre industry has been forced to implement in the current economic environment. …and what to leave behind: The political uncertainty and “surprises” which lead to erosion of consumer confidence which in turn negatively impacts consumer spending. Emerging and growing trends: I believe the trend towards convenience shopping will further strengthen. Quality of experiences will become more important - shopping experience in terms of product, merchandising and service; interaction with shopping centre facilities; entertainment experiences will need to be bespoke, niche and aimed at a specific market which would lead to more, smaller, differentiated offerings. The biggest challenge: The political instability in the country and the possibility of a further downgrade will have a major negative impact on the economy, including the retail industry, next year. If the ANC leadership issues are not addressed during December, the current uncertainty will continue, resulting in retailers being hesitant to commit to longer-term leases and negotiating reduced rentals due to the weaker trading conditions. The biggest opportunity: New leadership with the political will to address the challenges facing our country, with those challenges including unemployment, poor economic growth, government spending and debt, underperforming state enterprises and so forth. Area of most innovation: It will be in the omnichannel space. What customers want: Good quality for money, retailers that can adapt quickly to their needs, a feel-good experience. What to carry forward from 2017: Resilience to survive in tough times! …and what to leave behind: The negative sentiment about the South African economy, the political turmoil, poor leadership and corruption, violence and murders etc. Emerging and growing trends: Food and shoppertainment due to an increased need for customers to use the mall as a meeting place. News to watch out for in 2018: With the shortage of good quality retail properties available for sale in the South African market, we will mainly focus on extensions and upgrades to existing centres where we have strong tenant demand. The biggest challenge: Delivering new developments that are fully let and at required yields due to the economic climate. Other challenges include achieving budget-related rentals, retention of tenants and customers, negotiation of viable lease renewal terms, effective management of vacancies, decreasing footfall in some centres, low-to-zero growth margins by national and other retailers. Overall, low economic growth and consumers under pressure will continue to affect the market. The biggest opportunity: Currently, it is a tenants’ market, and savvy tenants are seizing the opportunity to negotiate good lease terms, though some tenants are taking it a bit far by requesting unrealistic rent reductions. We are going to see a continued diversification of tenant offerings and the growth of online shopping. Understanding what customers want and their spending habits will be key for landlords as is the creation of additional income streams by making use of vacant space in some malls for events and exhibitions. For many shoppers, international brands are not necessarily the best; there will be more focus on local brands especially those offering value for money. Smaller shopping centres will continue to be favoured because of their convenience aspect. The most innovation: Technology integration and the use of apps to enhance shopper experience, negotiating favourable deals for both tenants and landlords, as well as focusing on providing good customer service. What customers want: Good quality merchandise at the best possible price. They will also want more reliable brands, not necessarily high-end or international brands, but good national brands. Customers will want good service, entertainment especially at big malls, safe shopping environments, availability of WiFi, a wide range of retail and value for money. What to carry forward from 2017: Connect more with retailers and customers to get their feedback so we can improve on service delivery as well as having fully-let malls. On top of this, we would like to continue with the integration of technology and use of apps to enhance shopper experiences. …and what to leave behind: Negative sentiment about South Africa, and instead of always complaining about crime and mall attacks, which are unfortunately a reality, to focus on the positive aspects of shopping centres. Emerging and growing trends: Mixed-used developments, more health and well-being concept stores and new international retail brands which will continue to enter the market. Entertainment will be a big focus for big malls as shoppers want a full retail experience. We are going to see more enhanced rethinking of traditional shop layouts/designs, innovation in product displays plus ease of access to such products as well as venturing into different/related and affordable product ranges. Online shopping is also likely to grow when safe distribution and delivery systems are in place. News to watch out for in 2018: We are excited about the opening of the Fourways Mall and Benmore Gardens extensions and redevelopments. The biggest challenge: The economic pressure and its effect on disposable income and the spending power of consumers and therefore the impact it could have on the survival of retailers, especially smaller retailers like the mom-and-pop shops. Retailers need to focus more on value for money for consumers, and the challenge is how to increase this without reducing margins to the extent that it will affect their businesses’ future. The drop in feet at malls is also a challenge, as it could affect spend per head. Retailer cannibalisation is still happening. For landlords, it is also retaining tenants on rental levels and at escalations that are still financially viable and acceptable for shareholders, as this impacts distribution growth. Reducing operating costs (landlords) and cost of occupation (tenants) will be a very big challenge as well. The biggest opportunity: More pop-up shops, which can be beneficial for the retailer (trying something new without signing a long lease), the landlord (filling vacancies) and the consumer (experiencing a different product offering). One anticipates that consumers will travel less due to pressure on disposable income, which provides opportunities for malls to increase entertainment which, in turn, will increase feet to the mall, increase dwell times and improve turnovers. But entertainment must be focused on the specific consumer base. Adding service-related tenants to malls, such as tyre fitment centres, can also assist with increasing time spent in the mall. The most innovation: Online shopping and retailers’ offerings to increase loyalty, such as vouchers and discounts. Therefore, the marketing of products and services will need to improve and be more innovative. Traditional customer service and communication with consumers needs to change, probably through technologies such as those we use on smartphones. Free WiFi offering by malls, which will also assist with data collection. All of this will influence shopping behaviours and patterns. What customers want: Value for money, discounts, rewards, convenience, “structured purchasing” (e.g. lay-buys, as fewer credit facilities are available), good and effective service with consumers wanting retailers to go the extra mile for them, and trading hours that suit them. What to carry forward from 2017: Retailers offering value for money and rewards/ discounts. Free WiFi, data sharing. …and what to leave behind: The negative influences of the bad economic environment, instability and uncertainty about the political situation. The decline in food sales, specifically for restaurants and fast foods. The decline in the footfalls at malls. Emerging and growing trends: Online shopping and rewards programmes. Free WiFi will gain even further momentum. News to watch out for in 2018: Our green initiatives, such as our solar installations at Randridge Mall and Epsom Downs, and expansion opportunities at some of our malls. The biggest challenge: The continued pressure consumers are under. Depressed retail turnover growth will lead to further casualties in the local market, as well as the review of their current footprint by retailers. The biggest opportunity: Being open to change in this tough economic environment. The forced focus on valid mall offerings will make us innovate and create better experiences, but only if we are open to the challenge. Area of most innovation: My view is that we will start seeing shorter lease periods for certain spaces or categories to encourage mall visits for unique and limited offerings. Pop-ups might go from temporary space fillers to genuine attractions and part of the offering. What customers want: Experiences. And not just dining and entertainment, but true retail product experiences. What to carry forward from 2017: The momentum built at Mall of Africa with regards to our return customers and maintaining current trading density. …and what to leave behind: The overreaction to online shopping. Online competitors have been around for a while now. A good quality brick-and-mortar mall, augmented with some online experiences will remain a valid destination for consumers. Emerging and growing trends: The pop-up store is becoming a core part of the mall offering keeping it fresh and consumers interested in visiting the mall, instead of a short-term fix for vacancies. News to watch out for in 2018: We’re ensuring the Mall of Africa brand is front and centre for customer experience and ongoing innovation. The biggest challenge: The weak economy and political issues will see continued pressure on spend and increased costs in living. Consumers are watching what they spend and looking for special deals or sales to stretch what they have further. Retailers that are not adjusting to the challenges and managing cash flows properly are more likely to struggle and not be in a position to sustain themselves over these difficult periods. The biggest opportunity: Customers are looking for experiences that offer more than just a product – offering something that people want to be part of and associated with. This is true for individual retailers as well as the offering of the shopping centre. Area of most innovation: Innovation will come from digital platforms and how they are integrated into shopping centres and retailers, enhancing the value-add to the customer. What customers want: Service, service and service. Most people would buy a product, often not intended, when they receive excellent service. It is a rare commodity in South Africa and an area that we need to develop. Working in retail should be a job choice not just a way to earn a living, especially for the shop managers, assistants and those operating the tills or even standing at the front doors. We need to grow the desirability of these positions as essentially the people on the floor are the face of the business and need to be able to engage, entice and sell. What to carry forward from 2017: Retail is changing rapidly, and we need to look at every angle differently. It is not about just having premises within a centre – it is all about what you do with those premises as well as the shopping centre itself catering to the markets that frequent it. All are different and should be dealt with individually by providing something that talks to the community they serve. …and what to leave behind: It was a difficult year but with that comes lessons – I don’t believe in forgetting the past – embrace it and use it. Emerging and growing trends: The inflow of more international retailers with access to reasonably priced products that change with the trends as well as more experiential offerings. I also predict there will be a further consolidation of businesses and where and how they operate to meet the weaker economy. A further trend is the use of unconventional spaces to enhance income returns as rentals are under pressure and we need to be more creative in the use of space. News to watch out for in 2018: We will continue to grow our Cushman & Wakefield Excellerate brand and clientèle. We are privileged to be able to service clients that own beautiful assets spread across the country and serve diverse communities. It pushes us to achieve excellence in differing environments while improving on the returns that ultimately benefit all shareholders including those retailers that operate within the relevant portfolios. The biggest challenge: The current political uncertainty which will lead to economic uncertainty, reduced investment and spending. The biggest opportunity: To improve the customer’s retail journey across all touchpoints. Area of most innovation: In the use of technology as an enabler across all aspects of the retail industry – from how we interact with our customers to how we manage our relationships with service providers. What customers want: A frictionless shopping experience. Customers want retailers and shopping centres to deliver a shopping experience tailored to their specific needs, and to do this at the best possible price point. They are increasingly using technology to research and buy online. What to carry forward from 2017: That online retail space is not a threat to brick-and-mortar retail, but retailers and shopping centres need to evolve their business models to remain relevant into the future – this will inevitably include online shopping as a component of the whole. …and what to leave behind: The real political and economic issues. Emerging and growing trends: Increasing use of technology across all aspects of our business – hopefully letting us work “smarter not harder”. News to watch out for in 2018: Canal Walk is well positioned for 2018 with significant investment by both the landlord and retailers taking place in the last half of 2017. We have a number of new flagship stores that have opened or been refurbished including H&M, Sportscene, Exact, Checkers & Ackermans – all adding to the existing offering. The biggest challenge: The digital revolution, shoppers now have access to all forms of information and are becoming savvy about price checking, availability and style. We need to take cognisance of this. The biggest opportunity: The availability of data on shoppers needs, wants, habits etc. Shopping centres are tapping into this information, and the challenge will be to make full use of the data. Area of most innovation: New apps for cellphones, price checks, security, availability of local services. What customers want: More than ever, shoppers are price-conscious, but they want a better shopping experience as well. Interactivity and original décor are winners at the moment. What to carry forward from 2017: Locally we are experiencing renewed optimism in the mining sector with positive growth reported, which bodes well for Middelburg and the mall. We need this trend to continue. …and what to leave behind: Interrupted power supply! Emerging and growing trends: Originality, catering to the individual. Originality is the key with shoppers wanting to be identified and communicated to as individuals. The platforms are there; we need to use them more. News to watch out for in 2018: Going green! Middelburg Mall will be switching to solar power. Also, we anticipate a number of new brands joining the mall in early 2018, which we are very excited about. The biggest challenge: PF: The consumer continues to be under pressure and unsure of their future in South Africa as a result of the continuous political and economic instability that plagues the country. The Reserve Bank forecasts GDP growth of just 0.6% for 2017 and 1.2% in 2018, and we anticipate the economic recovery to be very much on par with the previous period, being basically static. South Africa is not attracting investors. Business performance remains under pressure, and we expect more interest rate hikes, fuel increases, a volatile rand and the anticipated Moody’s downgrade to junk status. Further to this, tensions are rising on the back of a debt crisis, increasing poverty levels, unemployment, fear for jobs in the future, the effects of immigration, infrastructure challenges and sustainable resources. The biggest opportunity: PF: East Rand Mall was recently renovated and in the process we added more than 30 new brands. These brands are energetic, create excitement, and we anticipate our consumers will continue to spend on “feel-good” products and food. The use of smartphones to advertise our products and services on social media platforms through using new AI and AR technology offers huge opportunities. SC: East Rand Mall will be launching and offering discounted packages to assist consumers to make entertainment more affordable. Area of most innovation: SC: Other than AI and AR technology, we also expect banking to move to a more digital platform with more services on offer. PF: We expect shopping centres to leverage technology in such a manner that will save consumers time, effort and energy. Opportunities exist for shopping centres to use technology to create products that suggest combinations of goods and other options across retailer categories that make shopping more efficient. What customers want: SC: Rewards, recognition and experience. PF: We anticipate consumers will spend more on feel-good products like clothing, footwear, food and technology. Luxury items will be less attractive. The consumer will be looking for a combination of entertainment, new brands and novelty products. The correct use of social media with value-for-money offerings combined with a great experience when customers are at the mall. Keeping the facilities clean, maintaining great levels of customer service, shoppers do not want to be inconvenienced. What to carry forward from 2017: PF: Better use of technology in the retail environment. Shopping centres and retailers will do their best to bridge the gap between reality and virtual (i.e. online shopping, social media vs physical interactions). We need to stay relevant in this continually fast-changing environment. …and what to leave behind: PF: Unacceptable service and long queues at the point of sale. To move away from the traditional ways of servicing the customer and making their experience more interactive and entertaining, for example incorporating self-service stations. Emerging and growing trends: PF: We anticipate that retailers will start launching AR apps within the next six to 12 months. News to watch out for in 2018: SC: We were focused on brand positioning in 2017, and therefore in 2018 we will aim to provide our shoppers with rewards and recognitions. The biggest challenge: To develop within the budgeted financial model, while ensuring the centres open fully let with the best possible tenant mix for that particular shopper profile. The biggest opportunity: Developers have an opportunity to re-strategise and re-energise existing shopping centres in order to accommodate fresh new concepts and international trends venturing into South Africa. Local retailers have the opportunity to seize the moment and harness inspiration and education from exposure to these new concepts. Area of most innovation: The big cyber world is out there. Mindsets are changing; be proactive and change before the wave. Think: “shopping resorts” vs shopping centres. There are opportunities for landlords to think out of the box for added income opportunities and to be innovative in design and lifestyle concepts. What customers want: Customers still demand good service and aspirational shopping environments without compromise on good quality, security and overall experience. What to carry forward from 2017: Take more risks, think out of the box, say what you feel and listen to your heart. …and what to leave behind: Negativity. Emerging and growing trends: Mixed-use developments are incorporating health and well-being concepts, as well as the incorporation of “click and collect” within the existing tenant mix. News to watch out for in 2018: For KwaZulu-Natal, 2018 brings some exciting new developments including the opening of Kwadukuza Mall in Stanger, as well as leasing actively in progress on Midway Crossing Shopping Centre in Newlands, and Oceans Mall in Umhlanga, both opening in 2020. The biggest challenge: The downturn in the economy and weaker rand. Most of our tenants import their products and stock, and this will pose one of the biggest challenges. The biggest opportunity: To embrace change and, in order to remain relevant, embark on creative ways to differentiate the shopping centre through various approaches from personalised customer service to bespoke offering and positive customer experience. Area of most innovation: Technological improvements and social media platform use. Morningside Shopping Centre was one of the pioneers in introducing ticketless parking via the Kaching Parking app nearly two years ago, and we are seeing more and more centres following suit. The integration of key social media platforms via Facebook, Instagram, Morningside website and electronic store directory. What customers want: Convenience, bespoke offering, personalised customer service, and a clean and safe shopping environment. What to carry forward from 2017: For Morningside to remain at the forefront and ahead of the curve when it comes to seamless shopping experience. …and what to leave behind: Market negativity. Emerging and growing trends: Technology improvements, electronic vehicles and providing car charge station infrastructure and facilities. Urban farming and participating in giving back to the community by going green. The biggest challenge: Millennials, with everything available at the touch of a finger we need to up our response and service levels to accommodate them. The biggest opportunity: The opportunity to up our game, we have this moment waiting for us, we need to take it. Area of most innovation: I think it is in small businesses. They will need to adapt and be innovative to survive. Second, in the supply of food, innovation is key in keeping more knowledgeable consumers happy. What customers want: Efficiency and customer service. What to carry forward from 2017: Adaptability. We have learnt new ways to compromise, adapt and serve. We can only grow in doing so. Know our clientèle better and provide better shopping opportunities for them. …and what to leave behind: Negativity, no business can flourish while carrying it around, the same goes for people. Emerging and growing trends: Easier refund and checkout procedures and self-service counters in stores (hopefully). News to watch out for in 2018: We are focusing more on our mall being a lifestyle centre so we will continue to focus on Wellness on Third. As a new centre, we look forward to homing in on our customer base and hearing more from them. The biggest challenge: Slow economic growth and increasing unemployment affecting buying power. The biggest opportunity: Online shopping. Area of most innovation: With high electricity costs, landlords may try to convert to solar power. What customers want: Value for money, convenience and safety. What to carry forward from 2017: My confidence in our economy. …and what to leave behind: The idea that our country is unstable. Emerging and growing trends: As a result of increasing hours of work at various workplaces, we could see families spending more on convenience foods (drive-thrus and takeaways). News to watch out for in 2018: Thavahani Mall is a catalyst development for Thavhani City, and in the precinct we have planned developments for motor dealerships, an office park and a hospital. These will add to elevating the area into a city. The biggest challenge: Tenant and retailer retention and sustainability in a very tough retail cycle. The biggest opportunity: Delighting the customer and creating unique shopping and entertainment experiences. Area of most innovation: The customers’ digital and physical interaction with our brands and property. What customers want: Customers are always seeking value in everything they buy, regardless of the cycle of the economy - and value does not necessarily mean price, it means the perceived value they have for a product or service which they wish to buy. What to carry forward from 2017: Continue with the successes and achievements of 2017 into 2018 on our journey to greatness. What would you like to leave behind? A legacy of success. 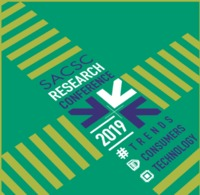 Emerging and growing trends: Digital interaction with brands and services and creating an emotional connection with our brand. News to watch out for in 2018: Eastgate is on its journey to greatness, in everything we do and every day we work towards that vision. The biggest challenge: Weaker currencies, growing unemployment rates, low economic growth and pressure on consumer spending. The biggest opportunity: Evolving consumer lifestyles and ambitions will influence purchasing behaviour. Consumers are becoming more aspirational and brand conscious. Area of most innovation: Time-constrained urbanised consumers will look more and more for convenience. By leveraging technology, this can be a great opportunity to find innovative ways of offering a greater convenience in retailing. What customers want: While remaining price-conscious, consumers are becoming more discerning in looking for quality and value, convenience and the experience factor in their purchases. What to carry forward from 2017: Vaal Mall would love to carry into the new year the momentum that its recent extension created. Emerging and growing trends: Internet access continues to narrow the gap between South Africa and international trends. Those who can be are more health-conscious, favouring nutritious foods. The focus has also shifted to the total experience factor, as online shopping, social media and physical retail have been woven into one experience. News to watch out for in 2018: Vaal Mall will be doing minor upgrades to the areas that were not upgraded during its extension, including two major entrances and a restroom, creating consistency to the new look and feel. The biggest challenge: As we see increased pressure on disposable income, the retail environment will continue to face headwinds. Basket sizes will continue to decline as consumers choose to purchase only essential items and forego luxuries or special treats. From a macroeconomic perspective, we remain in a rather fragile position, and this will continue to affect consumer confidence. The biggest opportunity: There are still ample opportunities in the discount or “off-price” retail space. Consumers, while still under pressure, will continue to seek out a bargain, and those retailers that are dominant in this sector should see increased gains. Area of most innovation: Personalisation – from sneakers to direct marketing initiatives and even shopping lists. Those retailers that continue to innovate and personalise their shopper’s experience will gain further loyalty. It’s no longer only about price; consumers want to feel that they are being cared for and that retailers are in touch with their needs. What customers want: Consumers still want the experience, and with the experience must come exceptional customer service. This is where the opportunity lies for retailers and shopping centre owners. What to carry forward from 2017: The tough economic climate has forced landlords to think innovatively when it comes to structuring deals. The tough conditions will continue, but if landlords continue to be creative, they can weather the storm. …and what to leave behind: Some of the foreclosures and business rescue proceedings that have had a disastrous affect on certain landlords’ vacancies and rental income. Regrettably, there may be more of these on the horizon. Emerging and growing trends: Off-price and discount retail will continue to gain momentum, given the tough economic climate. We should also see a shift to mono-brand cosmetics stores, as opposed to these being housed in the traditional department store. Given that consumers are looking for more experiences, landlords will be pursuing further entertainment offerings, in various formats. News to watch out for in 2018: Sandton City and Nelson Mandela Square have some exciting developments and openings planned for 2018. These include completing the exciting new, family-friendly Level 2, the much anticipated revamp of the Food Court, and some exciting new tenants taking up space previously occupied by Stuttafords. We will be introducing our Market on the Square, along with other exciting additions to the tenant mix and overall offering.